The elderly homeowner observed the scene unfolding before her with a look that mixed joy and amazement. 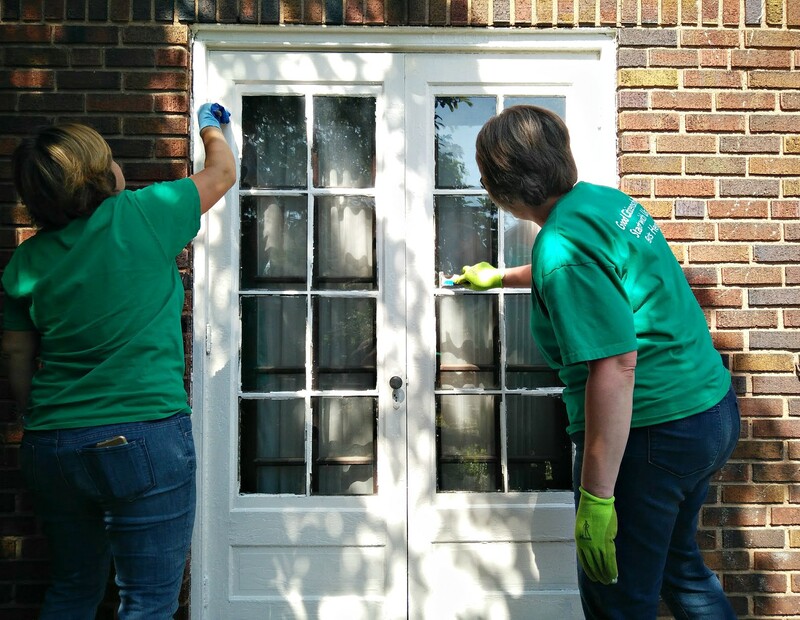 Never before had she experienced anything like this, as 15 volunteers helped restore the backyard of the Waterbury Avenue home that’s been in her family since 1930. 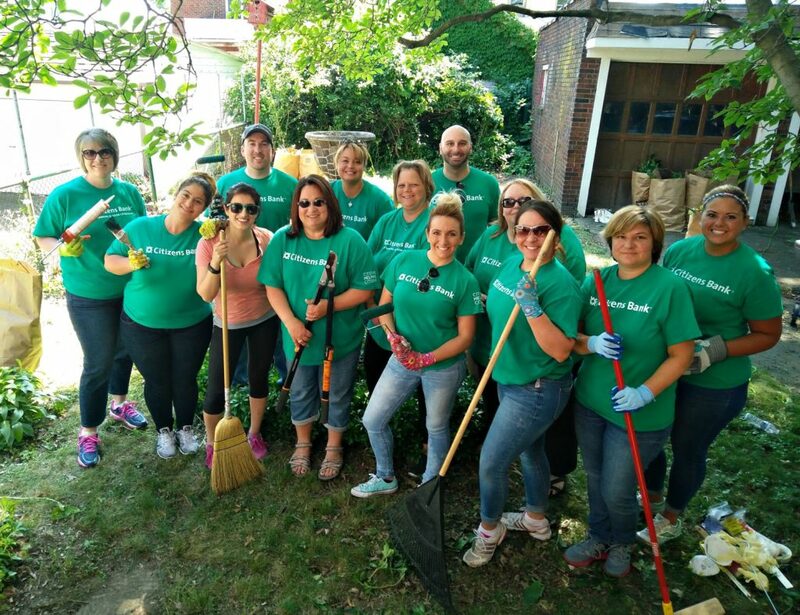 LakewoodAlive’s Housing Outreach Program recently partnered with a superb group of volunteers from Citizens Bank to complete this yard beautification project for Ms. Waterbury, 79, a retired science teacher. 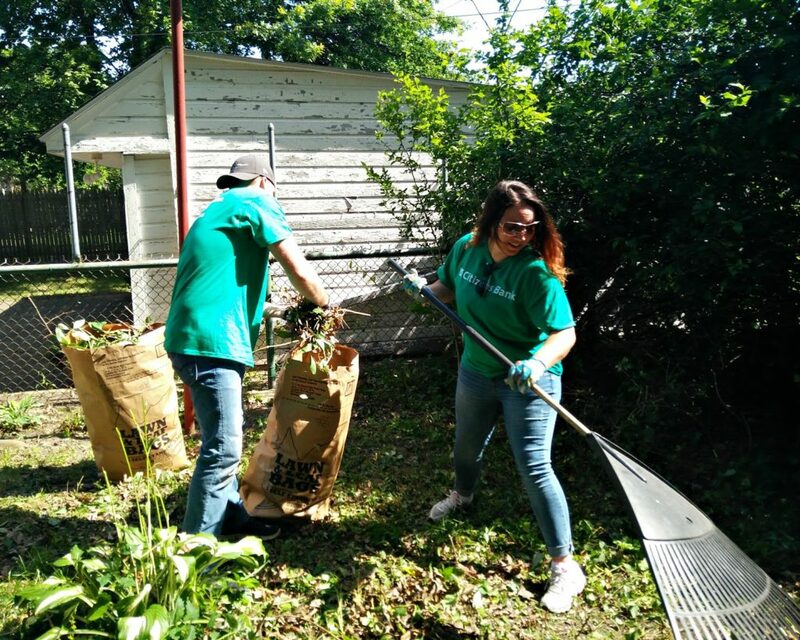 The project consisted of everything from clearing brush to planting flowers to painting fences and doors. 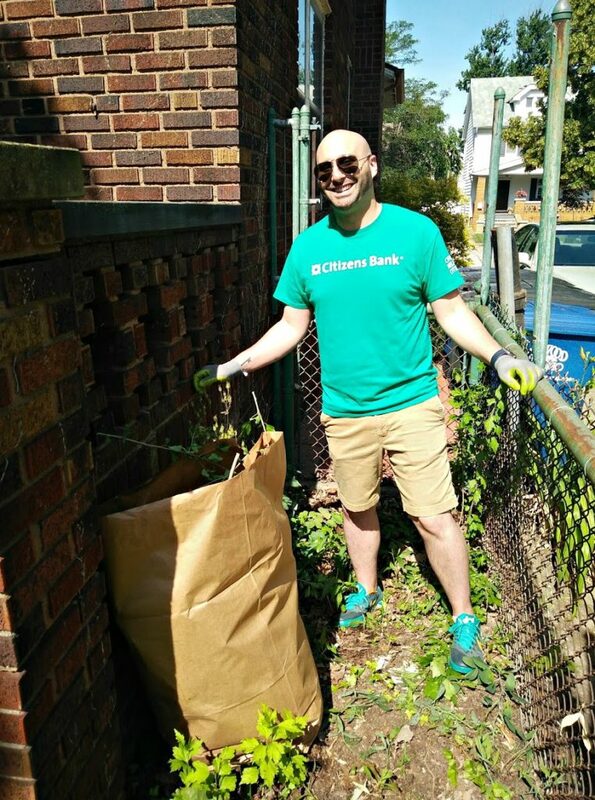 The hard-working volunteer team from Citizens Bank was comprised of branch managers from throughout Greater Cleveland, including each Lakewood branch. 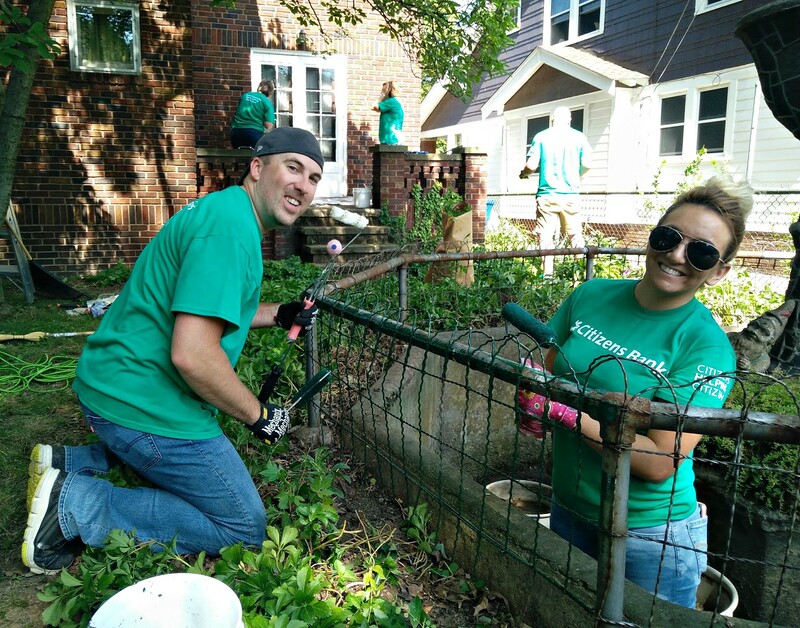 No stranger to completing volunteer housing projects with LakewoodAlive, ‘Team Branch Managers’ succeeded at having fun while putting a smile on Ms. Waterbury’s face. Long after the fresh green fence paint had dried, there’s little doubt Ms. Waterbury was still overjoyed with the results of this volunteer-driven housing project. Her parents originally purchased the home for $9,000 in 1930 but now it looked like a million bucks. “I used to do a lot of volunteering in my youth, and it’s really wonderful to see these volunteers now helping me,” Ms. Waterbury said. To learn more regarding LakewoodAlive’s Housing Outreach Program, visit LakewoodAlive.org/HousingOutreach or contact Allison Urbanek, LakewoodAlive’s Housing Outreach Director, at 216-521-0655 or aurbanek@lakewoodalive.org.